Etnia Barcelona glasses stand out for its bold colours and unique designs. The brand has a wide catalogue that embraces almost all tastes and combinations possible. Moreover, modern and funny glasses are part of the company's dna, always trying to cause visual impact. 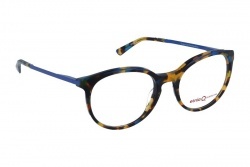 In fact, Etnia creates glasses with unique colour combinations, making the person who wears them stand out from the rest. One of the strongest features of Etnia Barcelona is design, the brand let the imagination of their designers flow, creating unique glasses. Nevertheless, they follow the tendencies, but also look for inspiration in daily life to transmit the best energy possible. Etnia Barcelona glasses have the best quality, using materials as natural acetate, light and resistant metals. Furthermore, they are long lasting glasses. Lenses from Etnia sunglasses have mineral cristals that add high resistance to the lens. In fact, this material allows to see a high quality image, with the best solar protection and comfort for your eyes. 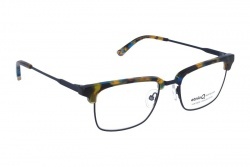 Etnia prescription glasses offer a wide collection of very colourful models and designs. Moreover, they are glasses that can be used for many hours without getting tired, its lightness and resistance are proven. If you are looking for glasses that project a modern and unique image, these are perfect. Fulgencio Ramo is the founder of the company, that was born in the 20s. He was a Spanish entrepreneur that created his little workshop. At that time he created sunglasses and he knew how to transmit his passion to all his family. In the 90's there was an important change in the company when David Pellicer, grandson of the founder, started to work in it. In fact, with the experience and values of his ancestors, David took the family business and created something new, something innovative. Something like Etnia Barcelona, born as it in 2001 and nowadays a brand with worldwide scope.